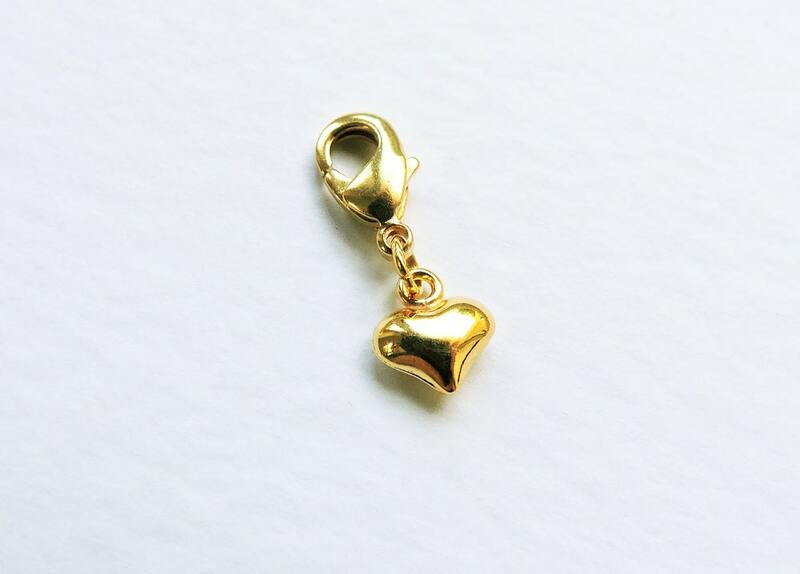 Little 24ct gold plated puffed heart charm with lobster clasp to be easily attached to charm bracelets or pendants. Choose whether you'd just like the charm on its own, or if you'd like it attached to a gold charm bracelet to get your charm collection started. Bracelet (optional): Gold plated cable-link bracelet with lobster clasp fastening, standard length 6.75"
Charms are presented in a branded black organza pouch as standard, or can be upgrade to a presentation gift box. Charm bracelets are gift boxed as standard. Please note that the quantities shown are an indication of what I have in stock. If you would like to purchase multiples of this item beyond the quantity available, I will usually be able to accommodate, just send me a quick message to confirm quantities. Please let me know if you need your items by a specific date, as there may be an additional 1-2 days required to prepare multiple items.